Team up with the countess on Treasure Raider, the newest creation of Bally Wulff! Playable at Wicked Jackpots, this game can be enjoyed on tablets, laptops or mobile phones. Loaded with potential winnings, this instant win game is themed on precious stones. You can try your luck as you make your picks while playing this game. Wondering why? Your aim on this game is to collect the top rewarding gems in the gloominess of the night! As soon as the game kicks off, you’ll find yourself in the merchant’s tent. The pretty display shows 19 vases and you have 8 picks - make the right ones! As you click on 8 vases, you can grab top winnings if 3 similar symbols are revealed! Bet Levels: You won’t find the bet levels on this game. 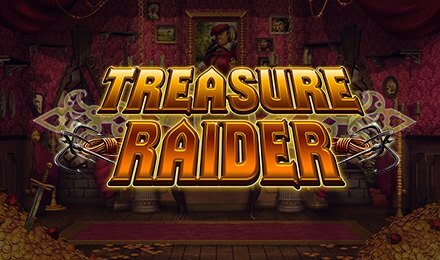 Amount of Paylines Selection: There are no paylines on Treasure Raider. Coin Values: Select any stakes varying from £0.50 to £200.00 on the Stake Tab. 3 Gems award 1x your bet. 3 Blue Gems award 3x your bet. 3 Purple Gems award 5x your bet. 3 Yellow Gems award 10x your bet. 3 Red Gems award 250x your bet. The total winnings are added to your account after the game round has been completed.